Homes for sale in downtown Charleston SC almost always guarantees you’ll be buying something pretty historical, but owning older and historic properties comes at a cost and with some thing you must consider. There are so many historic homes for sale in downtown Charleston SC that if you purchase anything in the peninsula you can bet you’ll have to get approval for something from the BAR. The Board of Architectural Review (BAR) was established in 1931 with the creation of the first preservation ordinance in the United States. Review the fees to do renovations here. When renovating homes in historic downtown Charleston we strive to achieve nothing but excellence with the goal of receiving the highest honor you can get; coveted Carolopolis award. The Carolopolis Award is a plaque placed on buildings that have been preserved, restored, rehabilitated or are outstanding examples of new construction downtown. The award is presented to those individuals, businesses or organizations that currently own the property. Award program was created to recognize outstanding achievement in exterior preservation, restoration, rehabilitation and new construction in the city of Charleston. Luckily our local officials have put standards in place for over a hundred years to ensure the charm, history, and beauty of such an important place in American history as Charleston, South Carolina and we too go to such lengths. 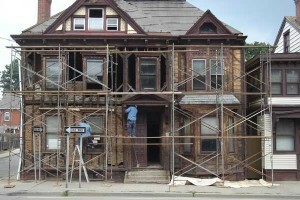 A historic renovations contractor in Charleston, SC is required to undergo training, education and thorough understanding of the standards and practices of performing a proper historic restoration. 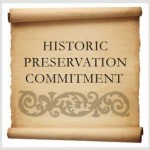 We are an approved Charleston, SC historic renovations contractor with extensive knowledge as to how to get approved for renovation, and pull the proper preservation construction permits. There is an application for every phase of your renovation and even a flow chart that has to be submitted to the BAR (board of architectural review). To Review the docs, rules, and regulations visit the official site for the Charleston board of architectural review. — Rehabilitating historic structures and improving existing infrastructure is more environmentally-friendly than to destroy and replace them. — Historic preservation initiatives and programs help to manage environmental effects of suburban sprawl, including increased traffic and environmental dilapidation. — By protecting and advocating for the reinvestment in the historic cores of Charleston and its Lowcountry environs, the effects of negative growth can be greatly avoided. — Learning the history of a community and its historical sites encourages a sense of neighborhood and appeal. — When historic buildings and resources are protected, they are the focal point of revitalization in the community which is, in return, appealing to visitors for heritage tourism. — Preservation promotes positive growth and is a tool to revitalize and re-invest in neighborhoods, older communities and commercial districts.